With Ideal retaining walls you’ll be amazed at how easy it is to turn an ordinary yard into an extraordinary yard. Eliminate the slope of an otherwise unusable yard while creating a decorative accent at the same time. Create planter beds along your house or fence. Add steps to your wall to connect two separate spaces in your yard. With a little creativity the possibilities are virtually endless! 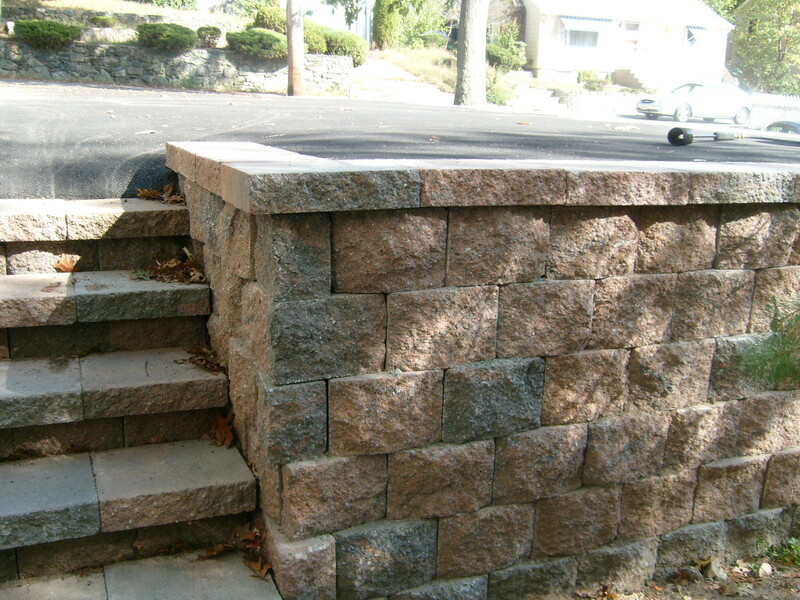 Functional or decorative Ideal retaining walls provide superior solutions for any landscaping project. Designed to inspire and to perform, our retaining wall systems excel both in beauty and durability. The versatility of our walls supports your creativity, allowing you to shape your landscape into the outdoor living space you’ve always dreamed of! Freeze and thaw cycles also creates extra stress on a retaining wall. Expansive and soft soils can also account for some retaining wall problems. Installing a landscapers fabric drainage membrane with drain tile on the backfilled side during retaining wall construction or during a repair of a retaining wall will help reduce or eliminate most of problems associated with a retaining wall.